I’m excited to share with you this lovely book ‘6 Essential Oils you can’t do without’ by pharmacist and bestselling natural healthcare author Daniele Festy. As a lover of essential oils I was intrigued by which 6 oils I needed and how I could use them in my everyday. Daniel’s book outlines the best aromatherapy oils for health, home and beauty and how to use them. As you probably know by now, I do use essential oils in my everyday and have previously shared a few ways that I utilise them, like in my Natural Multi-Purpose Cleaner Recipe. 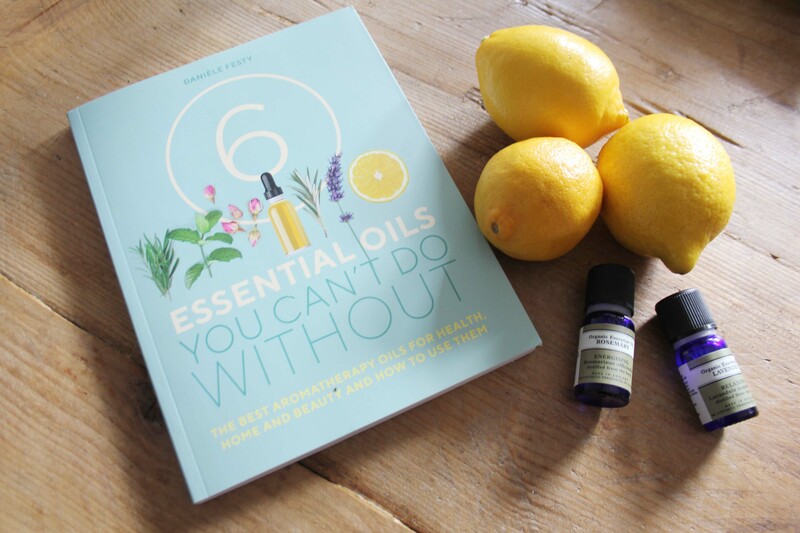 As the title says this book delves into ‘6 Essential Oils you can’t do without’ and explores the multi-purpose powers of tea tree, lemon, lavender, peppermint, rosemary cineole and damask rose. If you’re just beginning to look at using essential oils in your everyday, then this book is a brilliant way to get started! The six oils are explored in depth and their potential uses are listed with accompanying recipes to try. The book is divided into easily digestible chapters for each oil with beautiful photography. There is a whole part of the book dedicated to beauty care. There are lots of great massage suggestions including information on how to mix your oils and also how best to apply them to the skin. There’s also a section on fragrant baths, which is of course a personal highlight. I love putting lavender oil in my bath and relaxing in the evening. 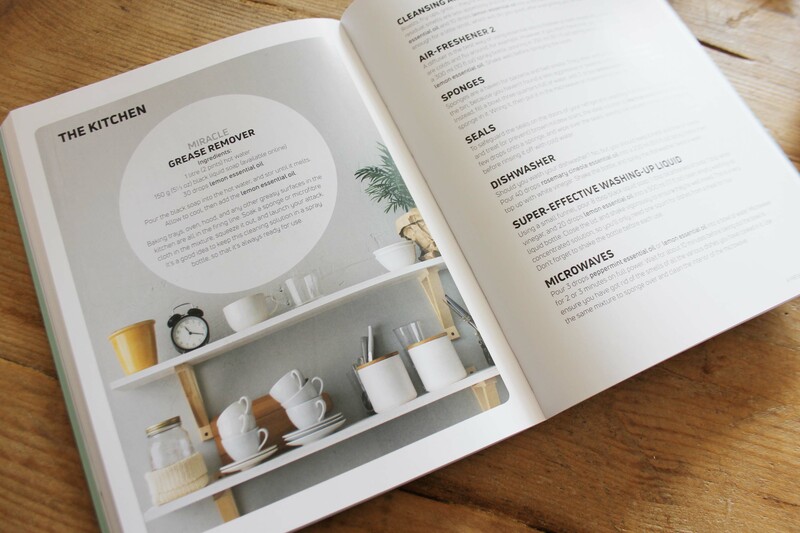 The book also includes recipes for natural exfoliants, moisturisers, hand cream foot care and face care. The ‘6 Essential Oils you can’t do without’ (tea tree, lemon, lavender, peppermint, rosemary cineole and damask rose) all boast antibacterial properties so are perfect for cleaning and creating natural home products, needless to say they smell good too. Author Daniele Festy goes into detail about the ways in which these 6 essential oils can be used around the home with easy to follow formulas for making your own natural home products. Some suggestions of uses include, kitchen grease removal, natural laundry detergent and air freshener to name just a few. I’d highly recommend ‘6 Essential Oils you can’t do without’ by pharmacist and bestselling natural healthcare author Daniele Festy to anyone just starting out on their essential oil journey of discovery. Daniele delivers in depth factual information in an easy to follow manner with lovely photos to boot!